Over a year ago, I had the opportunity to attend a learning journey to Kansas’ largest city, Wichita, hosted by the Wichita Community Foundation. Kansas was the last place that I would have thought that I would’ve ended up for work, but my job has allowed me to reevaluate the way that I view cities around the world. Wichita, once known as Cowtown, began as a trading post along the Chisholm Trail in the 1860’s. Prior to its development into a city, Wichita was inhabited by what Spanish explorer Francisco Vazquez de Coronado dubbed “Quivira,” or Wichita, people. The US purchased the land from the French via the Louisiana Purchase and it became part of the Kansas Territory in 1854. Being along the Chisholm trail made the area a destination for cattle drivers traveling from Texas. The immigration that resulted because of this led to a speculative land boom and expanded the city. Several colleges came about, with one of the most notable being Wichita State University, which opened in 1886. Those who know the history of Akron (my hometown) know that this is a similar timeline. Akron began as a pass-through area due to the canal and eventually a town cropped up around it. It went through economic booms due to the rubber industry and went into decline only for the local government, community members and area organizations to begin efforts to revitalize it. Their current challenges reflect Akron’s, namely the need for more small businesses, lack of use of public spaces beyond special events, and the hurdle of reversing the trend of people moving away from the city centre. They’re not completely similar; in fact, Wichita has more than double the population that Akron has and their major industries and families continue to play an active role in its future. The largest employers in Wichita are still in aircraft manufacturing. But due to the similarities, I quickly felt at home and it made me want to learn more. 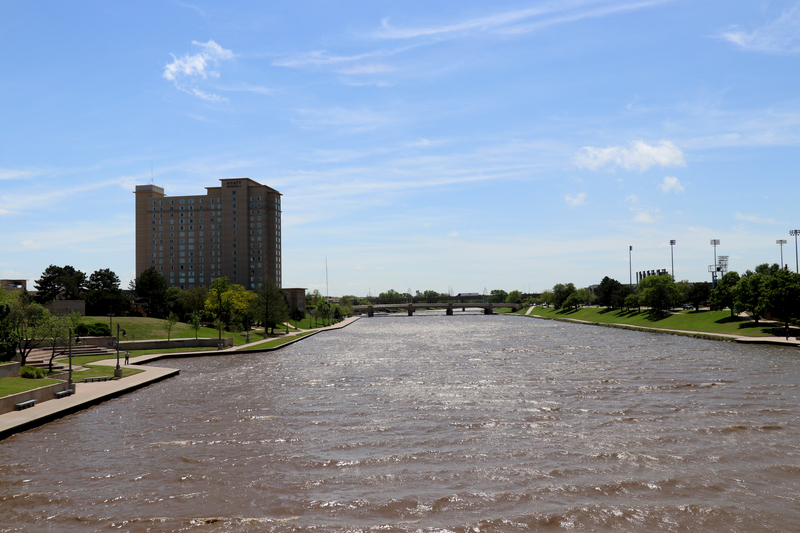 Geographically, the city is very flat with the large Arkansas River (host site for Wichita Riverfest) dividing the eastern and western parts of the city. Wichita’s history as one of the first organized lunch counter sit-ins (the Dockum Drug Store sit-ins) during the Civil Rights Movement appears to be relatively unknown to many. Sculptures tucked in a park off the main street tell the story of this important, but often forgotten time in our nation’s history. Student-led with little support from the area’s NAACP chapter, the protests lasted for a month before the owner finally allowed the black students to be served. But, as with the rest of the nation today, racial inequality is an ongoing problem. The city’s complicated relationship with the Koch Brothers fascinates me. The Koch family has provided tens of millions of dollars to support area nonprofits in the arts, sciences, sports, and more. But they’ve also provided just as much money and influence on things less visible. The brothers are most often known around the nation as conservative mega-billionaires that have nearly unmatched power and influence. During my trip, I got a chance to visit the WSU Innovation Campus makerspace facility, GoCreate, and it was incredibly inspiring and heavily funded by Koch. Open to the public through memberships, this facility is state-of-the-art, innovative, and community focused. They have spaces for woodworking, metal and welding, textiles, design (3D, graphic, etc), and electronics. There’s a co-working space, private rooms available for rent, mentorship opportunities, and classes to train people on the equipment and to better their projects, small businesses, etc. I’d be over the moon if we had something like that in my hometown. Flag: I think that my favorite thing about Wichita is their flag. Designed in 1937, it means freedom, happiness, and home. The Native American symbol for home sits in the center. 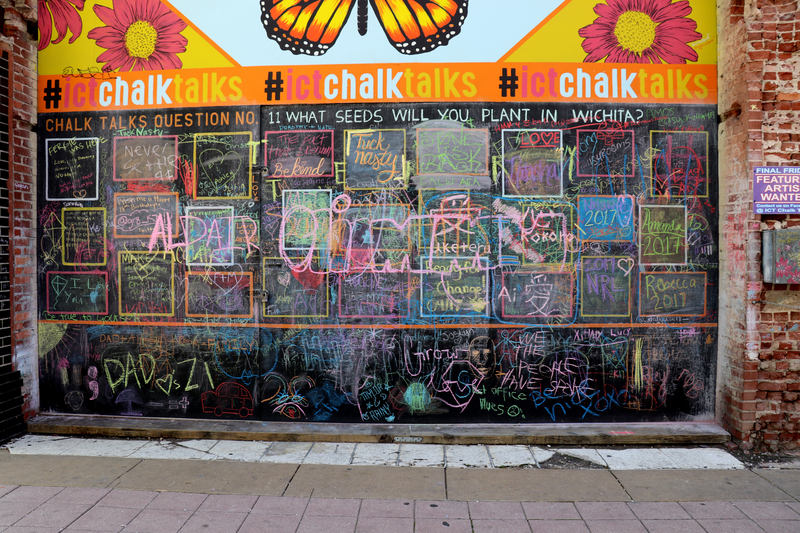 Public Art: Wichita has a lot of public art. My favorite is a collection of beautiful, interactive sculptures by Georgia Weber that stretches along Douglas Ave, commissioned by the DeVore Foundation. And I can’t mention public art without highlighting the Keeper of the Plains, a 44-foot tall statue at the meeting point of the Little and Big Arkansas rivers. It was created by Wichitan and Native American artist Blackbear Bosin. 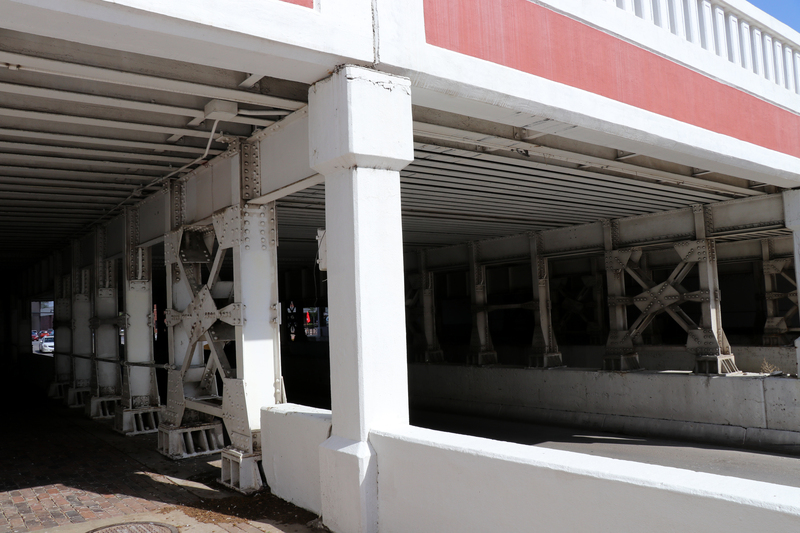 Infrastructure: Unlike Akron, Wichita saved most of its old buildings. 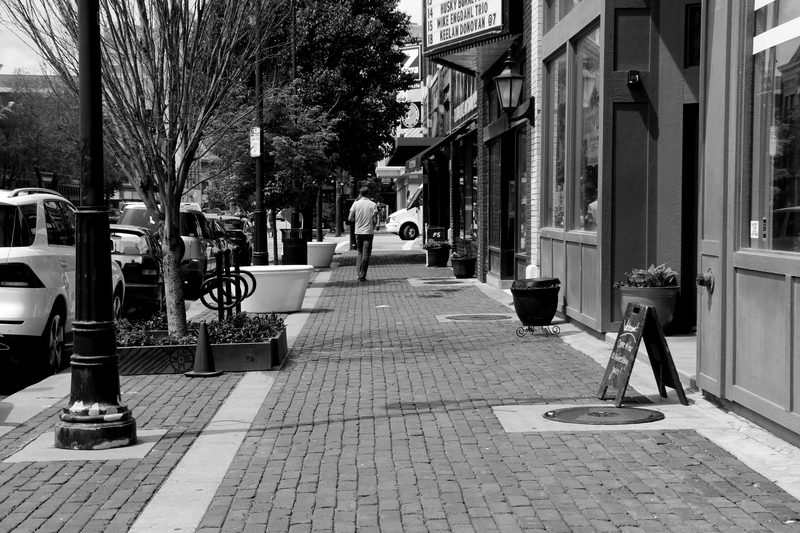 Small businesses have begun to pop up in downtown and development has started to grow. Cost of Living: The cost of living in Wichita is well below the national average. A downtown 2-bedroom apartment will cost you around $1000 per month. Industry Support: This is a city with deep roots in manufacturing that has stayed over time. The family of one of those businesses lives in the city and aids the city through financial support. 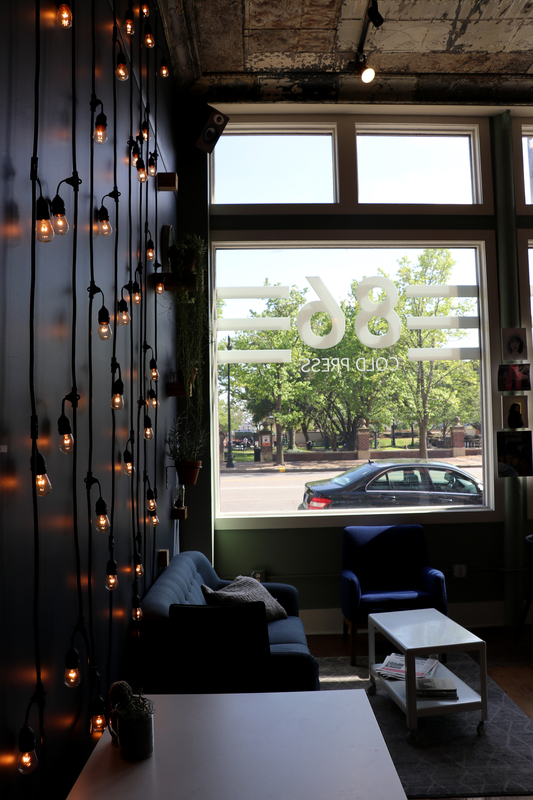 Engagement: From what I saw (because I was there for work), Wichita has a growing art scene full of diverse creatives who are engaged and ready to roll up their sleeves to make their community better. The Wichita Community Foundation has does some great work in supporting initiatives to get people engaging with others and public space. 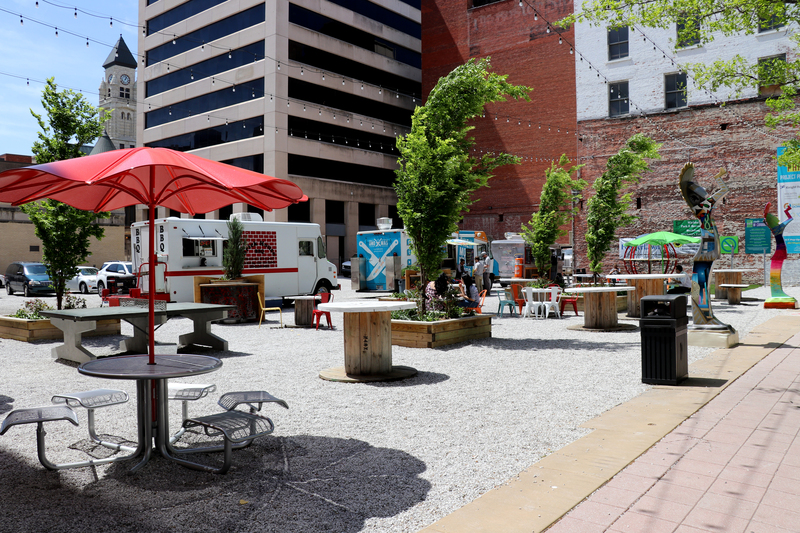 The ICT Pop-Up Urban Park is a prime example of that. 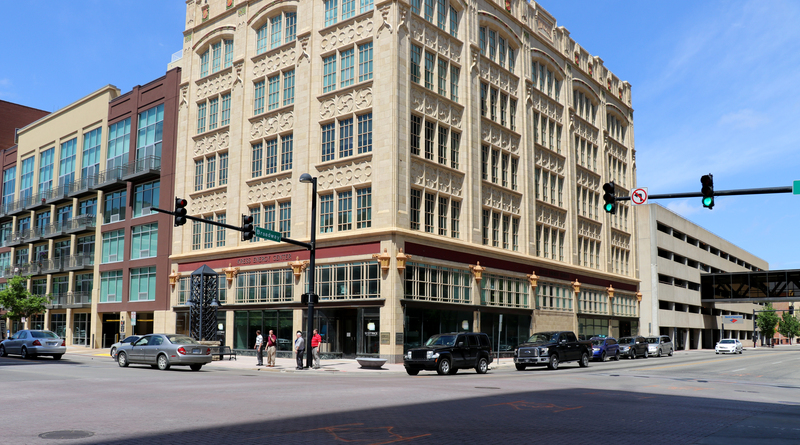 Downtown Living: Wichita struggles with getting people to live downtown and bridging that city/rural divide. I believe things are beginning to change, but it’s a common challenge with midsize cities. Walkability and Public Transportation: The city’s walking, biking, and public transit could be improved. I checked into their WalkScore and TransitScore and they’re pretty low. This means that most errands need a car and there aren’t many bike lanes. Industry Support: This one is a double-edged sword because that heavy investor in the city may have a lot of influence in the way the city takes shape. It could also leave the city vulnerable if they were to leave. Overall, I enjoyed my time in Wichita and would love to go back to take a deeper dive into all that the city has to offer. Data USA, a website and visualization engine, has a deeper dive into Wichita’s story through public US Government data. 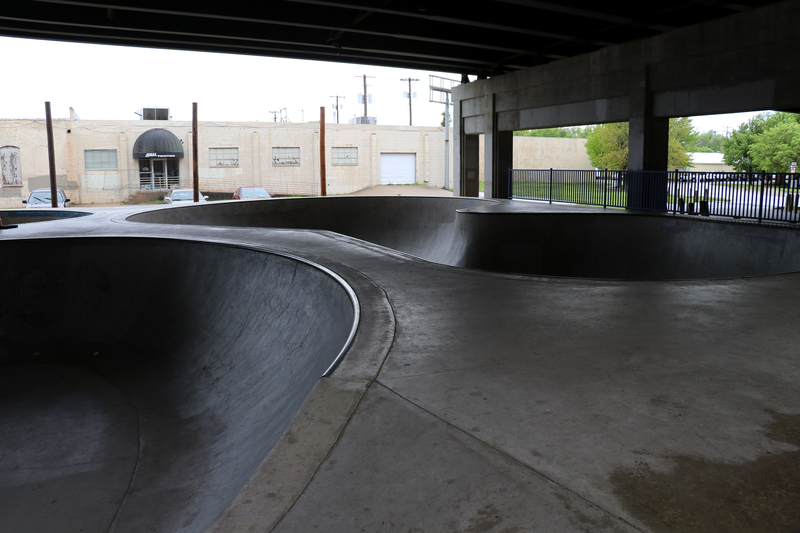 Have you been to Wichita? What are your thoughts?